Cossairt Florist has been in business since 1896. We are a fourth generation flower shop and greenhouse, owned and operated by Jim and Nancy Cossairt. 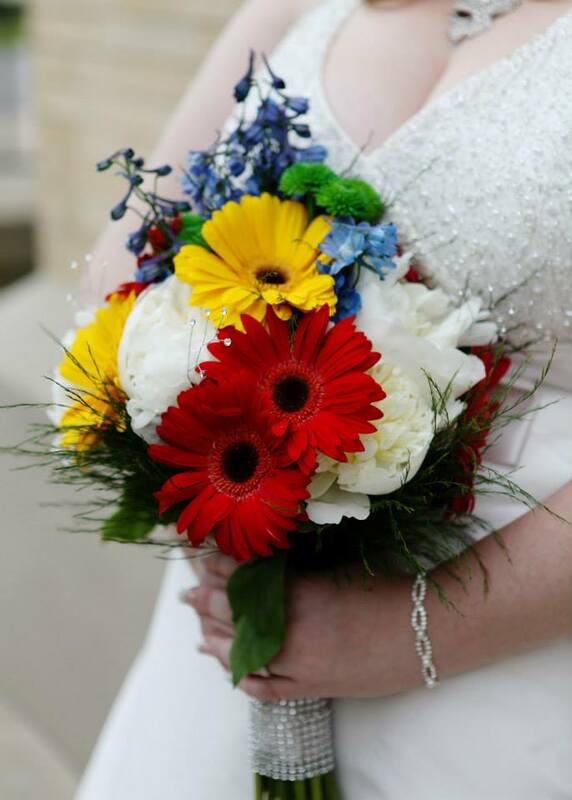 We've been serving Shelbyville/Shelby County and the surrounding area for generations!​ Our experienced floral designers have decades of experience making wedding dreams come true. ​In 1896, Jim's great grandfather Simon Peter Cossairt was a truck farmer. He had a vegetable cart that he stocked with produce from the garden he and his wife Elizabeth tended at their home. He sold the produce to provide for his family. One day, as family legend has it, Elizabeth put some flowers on the cart alongside the vegetables. They sold better than the produce! And the rest, as they say, is history. The Cossairt family has been in the flower business ever since! ​We operate both a flower shop and a greenhouse at our location in Shelbyville, Indiana. As of 2007, we are all located on one campus on West Boggstown Road. The greenhouse is a flurry of activity in the spring months, prime growing and planting season. The flower shop operates fully year-round. The two businesses work hand-in-hand to provide the best that garden centers and flower shops have to offer. All under one trusted name. ​Nancy Cossairt is one of our company's owner-operators. She is also a supremely talented floral designer. She has completed training classes and workshops to improve her skills over the years. She also has 30+ years of experience in the industry and in wedding flowers, making dozens and dozens of brides happy over the years. She has been working in the industry since she married into the family in 1985. She works with the majority of our brides. Nancy says, "My favorite part of doing weddings is being able to take a vision a bride has and turn it into something real for her wedding day. I love making sure everything is exactly as she has pictured it in her mind." ​Jim Cossairt is one of the company's owner-operators. He has been working in the industry since he was a kid working with his dad in the greenhouse. He took over operation of the flower shop in his early 20's and has been running operations here since then. He has 40+ years of floral experience and has helped with hundreds of weddings over the years.